Not that there weren’t some advantages. After eight years in the southern climes, one thing I love about the Midwest in the summer is sleeping with the windows open. Fresh air, when you can’t get it regularly, especially at night, is a true joy. Not having to work around the schedule of others made the myriad of things I needed to accomplish a ‘my schedule, my call’ kind of deal. Same with eating. 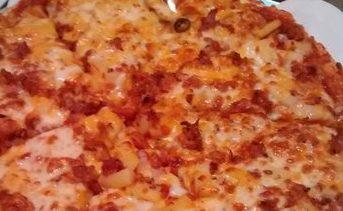 I probably had more pizza than I should have, and got to experiment with different frozen varieties while ordering a few times too many from a favorite place. There is also the fact that you never have to negotiate custody of the TV remote – which was primarily key for having as much baseball on as possible, especially my hometown Twins. Flying solo also allowed me some Sunday flexibility in going to church – so I basically went on tour this summer: two states, four cities, six churches, one nursing home chapel. Save the chapel and two of the churches, were I visited a former pastor and his family in one case, our niece in another, I had some personal/historic ties to all the others. I figure every decent band tour has a name, so that’s what I came up with: Mark’s Lollapewlooza tour. Catchy, right? I’m considering having a shirt made, though no physical souvenir is really needed. Barnstorming a variety of different churches helped me cope with all the craziness I was dealing with, but it also allowed me some much-needed perspective on where I’ve been, where I am, where I am headed spiritually. My on-the-road Sundays were truly Sabbath days, for the most part. I was able to go to church somewhere in the morning, taking the afternoon to wind down and regroup a bit with a leisurely lunch and some Twins baseball, pay a visit to my mom, come back, have some dinner, and catch some Sunday night baseball. (The only real glitch there was when the Yankees were on ESPN. I don’t want to watch the damn Yankees. Ever.) I suppose I could add CHS Field to my Lollapewlooza list, as I spent a glorious Wednesday even there watching the St. Paul Saints play, but that is another story entirely. One thing Lollapewlooza really wasn’t was nostalgic. 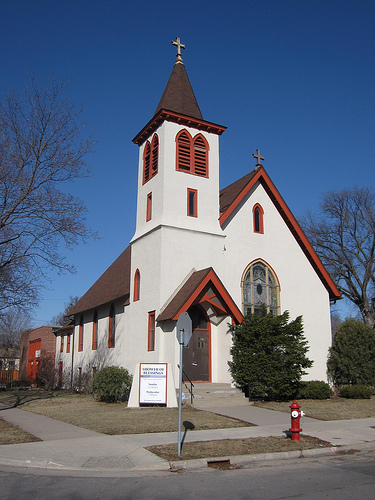 Even though my family and I once attended Park Avenue UMC in south Minneapolis, my visit to their ‘early riser service’ held no wistfulness. The music was great, the lay sermon was spot on, and it was nice to just see the place. I popped in, listened, contemplated, headed out to my second stop for the day, Minnehaha Communion Lutheran (MCLC, for short) just a couple of physical miles away but light years from Park Avenue in tone and style. That is not a judgement on my part. The two congregations both have a strong presence in their respective neighborhoods, but vastly different demographics and approaches to service. As it should be. I enjoyed my visit to MCLC, and upon arrival, I was immediately met an old friend, who was passing out bulletins and had recognized me when she saw me drive up. We got to chat a bit both before and after the service, and she brought me up to date on who was still around – a lengthier list than I might have thought. All good. She also introduced me to one of the current pastors, and I was able to strike up an interesting conversation with a current board member, and he seemed to enjoy my historical take on the place – a perspective that is rather unique. I chaired the committee that created Minnehaha Communion, back in 1994. At the time, I was a young, brash thirty-something congregational president of Holy Communion Lutheran Church; a typical for the time aging (demographically and physically) financially struggling, old-school congregation. 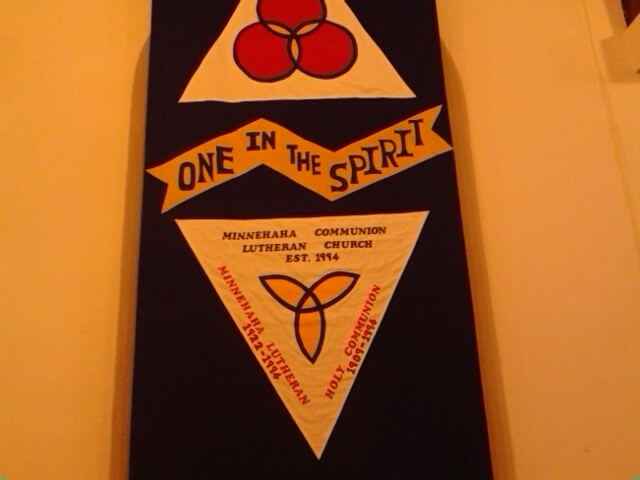 Roughly a mile-and-a-half to our south was Minnehaha Lutheran, whose situation mirrored ours. The decision to merge started out casually, then became real very quickly. I was elected as chair of the merger committee for two very obvious reasons: nobody else wanted to touch the job with a ten-foot-pole, and there were movers-and-shakers who felt I was young and malleable enough to be able to be manipulated. The former is indisputable; the latter was quashed right away, as I was young, astute, and headstrong – plus, our Holy Communion congregation was made up largely of elderly, savvy, take-no-prisoners women to whom I was a communal grandson. The oldsters had my back. To the amazement of everyone from the synod bishop on down, we completed the merger process (including selling the Holy Communion building to a new, just starting out congregation) in just a year – that was twenty-two years ago. I felt a reasonable sense of pride in that, and not a little astonishment that the place was going strong. Pretty cool, though I will admit to a bit of angst on one point: the name. From the get-go, I thought we should go with an entirely new name for the merged entity, but that was not going to fly. And Minnehaha Communion was the least clunky combination we could come up with. One of the only battles I lost, but hey, won the war and here MCLC still stands. The politics and mental gymnastics of pulling off the merger were draining, and after we got the job done, I had to step away for a while. 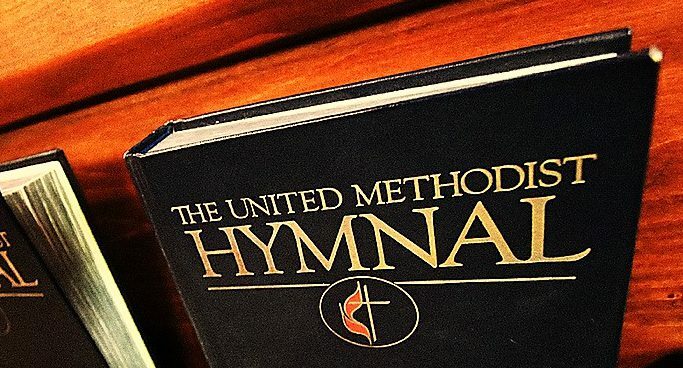 That was when my wife and I started attending Park Avenue UMC – mostly as a compromise choice, as the first few years of our marriage we had been in a bit of flux, she coming from a Baptist background, me being Mr. Lutheran. In the end it all worked out for the best. So that Sunday morning was less a trip down memory lane, more a touching-base with some of my faith roots. Gotta know where you’ve been to understand where you are. Mill City Church is a growing congregation based in a north Minneapolis school building. They are a young, extremely active in their neighborhood, and very contemporary in mood and style. Did I mention they were young? Not just the congregants, but the staff, of which my niece Anne is a part of, as the youth pastor. My first Sunday in town, I stopped in for the service unannounced and surprised her afterward. Later that week, she called and asked if I could be in attendance on June the nineteenth, as she was preaching. So that is what I did. She was wonderful. 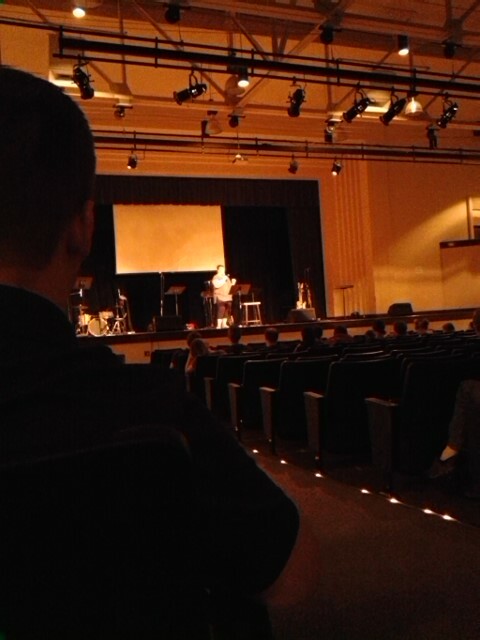 It was a personal, emotional, and exhilarating sermon. I was drained. 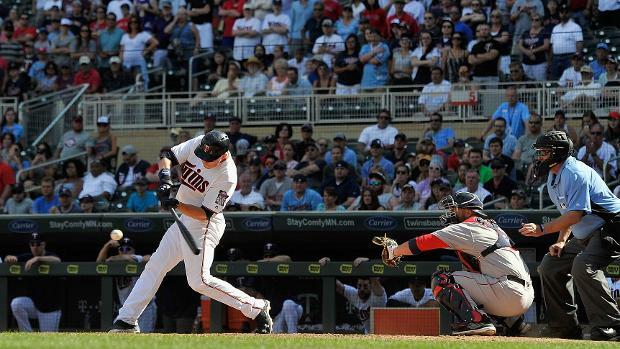 Fortunately, the Twins were on that afternoon, and smacked the Yankees around, 7-1. The game and the pizza were great, then I took a nap, with the patio door open. That was about as good a Sabbath as I could conjure up. Isanti, Minnesota is about a forty-five-minute drive from my mother’s place in suburban north Minneapolis. I made the jaunt up that way on Fourth of July weekend to visit the pastor and his family, who were our pastoral family in the small town in rural Minnesota which we lived before moving to New Orleans. 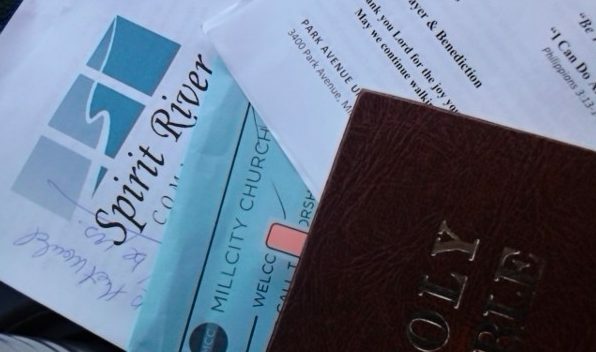 A few months after my family and I left town, Jim took a new call to plant Spirit River UMC in a rapidly growing (“Are we rural or are we urban?”) area that has a lot of challenges – many related to changing demographics and growth. We all share the ‘moving on’ experience. 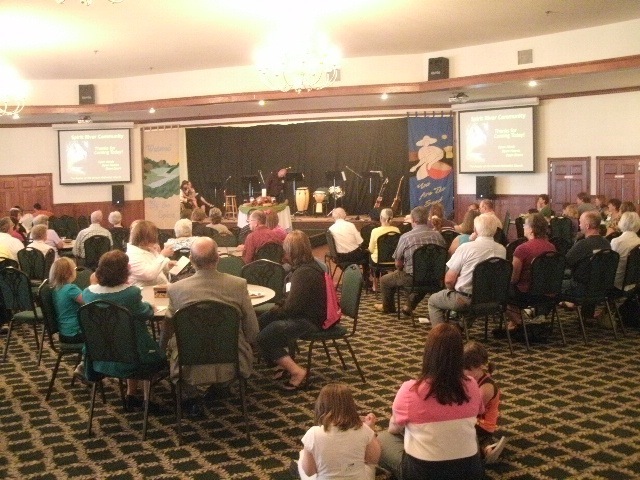 A few years after forming, they purchased a defunct banquet center to house their congregation and outreach. It is a different worship experience to be sure: people sit at large, round tables, in comfortable banquet chairs. Spirit River reminds me that churches are not buildings. Hope Christian Church, my non-denominational hang out in New Orleans, is housed in what used to be a theatre, in a large, century-old warehouse shared with a used furniture store and a t-shirt shop I would describe both Hope and Spirit River as funky and functional, and both are very contemporary in their respective worship styles. The weekend I visited pastor Jim and his daughter, the congregation was having their newly-traditional, most-of-the-congregation-is-gone-for-the-holiday hymn sing; right up my alley, as while I don’t have a problem with contemporary services, and am not wedded to liturgical certainty, modern praise and worship music is not at all my thing. Give me ‘How Great Thou Art’ and ‘Amazing Grace’ on alternating Sundays, and I’d be good. Maybe something from the soundtrack of ‘Godspell’. So my timing to go to Isanti was perfect, and after church I went to lunch with Jim and his daughter Stephanie, and got to listen to the Twins on the radio driving back to suburbia. It was a satisfying final stop on Lollapewlooza ’16. What have I learned from the spiritual side of my road trip summer? Not a whole lot of new insights, but a lot of reminders of how faith can be a burden lifter, mind clearer, refocusing tool. That seems pretty basic, but we frequently lose sight of that; I think sometimes doing the same thing in the same way every Sunday, faith becomes rote and oftentimes ineffectual. I admit that there were a few Sunday mornings this summer where going anywhere was not high on my list at all, but knowing I had limited opportunities to do some things I wanted to do, I just did them. I am glad that I did. Glad I saw the folks that I did, fortunate to have heard the messages they had for me – both congregationally and personally. This summer also helped me reconfirm what I do and don’t like in a worship service, and that I am something of an anomaly in that I appreciate and enjoy a good, spontaneous, free-flowing contemporary church service, doing so with older music (hymns, seventies folk, you know – good stuff with high lyrical quality) would be my ideal – even by a funky, electric house band. That hybrid is hard to find consistently, so I go with what I have at hand. I also realized that while the off-beat (theatres, banquet centers, nursing home chapels, public school auditoriums) have their own quirky charm that can get you to think differently about the worship experience and the place in a community of the church overall, sometimes plopping your keister into a good old-fashioned, varnished, walnut pew (St. Marks, MCLC, Park Avenue) and hearing someone crank up a grand piano or an organ touches the soul a whole lot differently. I discovered that the roots of my faith run deep and are intertwined. I left Minnesota and headed back to New Orleans, tired and unsettled, as I didn’t get done nearly as much as I thought I should have, but in reality, got more done than I should have logically been able to accomplish. Spiritually, I headed south feeling refreshed. There is a lollapewlooza to be said for that. 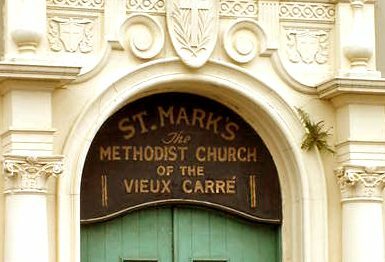 This past Sunday I attended services at one of my favorite, regular church stops – a small United Methodist outpost in the French Quarter of New Orleans. The woman who gave the morning’s welcome was a lay person, not overly polished but very compelling as she relayed a personal story from the past week. The middle-aged woman had been reading a devotional that asked her (I paraphrase) ‘what blessing would be of most use to (her) at this moment.’ She told the congregation her immediate response was to win the lottery, so she could set up a charitable foundation with the first grant going to the church. She went on to say how she then posed the same question from the devotional to other family members, and that they gave roughly the same response as she had, until she asked her younger daughter. The daughter has struggled at times with being bullied, and other issues, and simply said, “Mom, the greatest blessing for me would be that people could just be nice to each other.” The woman then spoke about how her daughter’s answer made her proud, and how she began to rethink her own answer a bit. Then she spoke of the rest of her week, and a real-life blessing: the announcement of the SCOTUS decision upholding the Affordable Care Act. Her story was simple, and compelling; the ACA left standing the way it was meant that three of her children, all on their own but not making a lot of money, could now keep their affordable health care. The emotion in her voice was palpable as she related what a comfort that news was to both she and her husband, let alone the children. A simple court decision with a huge impact, upholding a law that actually plays to the narrative of America being a compassionate nation. To me it seems legally logical and socially appropriate, helping millions who could truly use it – what fair, just laws should ideally strive for. I could only imagine how many households across the country had experienced similar relief. And yet, many of my fellow Christians remain adamantly opposed to the ACA. Many of my fellow Christians remain adamantly opposed to this second decision, and the idea of gay marriage itself, but on this issue the Chicken Little Faithful approach (proclaiming churches will be sued, forced to do things against their beliefs) goes overboard. Truth is, every Christian denomination I have ever been around has their own will/won’t marry someone in their church reasoning, and certain things that are/are not acceptable practice in that particular congregation. They have always, and will remain free to exercise those beliefs. Fact: the Supreme Court is not now, nor have they ever been in charge of, ruling on G-d’s law. SCOTUS rules on American civil law – the U.S. Constitution. The key part of both those entities in the ‘U.S’ for United States. We are a pluralistic nation: different states, different peoples, different ideas, one country, one set of laws. Not biblical law, not Sharia law, not Talmudic law. American civil law. The U.S. constitution. It is striking to me that in both the case of the ACA and marriage ruling, the laws being dealt with are based in large part on not just law, but concern and consideration for all American citizens. As Christians, it seems to me that we should be rejoicing in the (sadly rare) convergence of American civil law and compassion. Jesus calls us to be compassionate. When discussing faith, people will sometimes get frustrated with me, as I don’t ‘cherry pick’ verses to back up my point of view, as I believe it is far too easy to take most any singular line or two of the Bible and use it in a way that fits some point we as humans are trying to make. This is mostly because people will take singular verses out of any reasonable context: the speaker, the setting, the situation at hand. 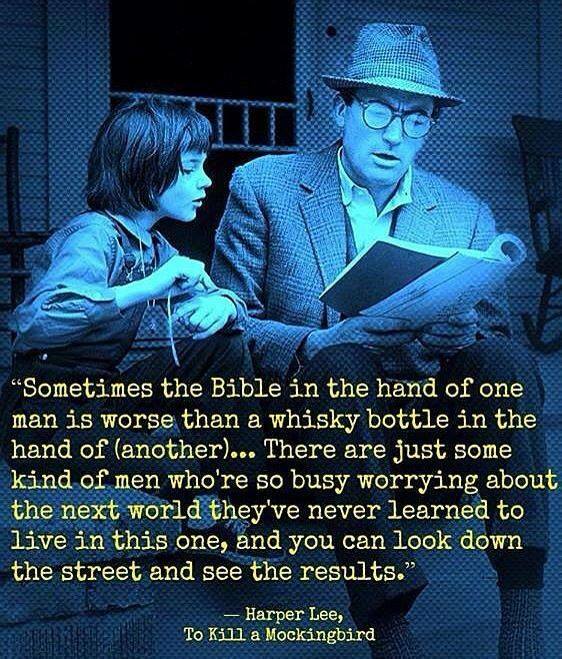 Part of that is the discomfort with a lack of context is the English teacher part of me, but it is also something that disturbs me more the older and deeper into my faith I get. My challenge to you as a Christian: grab your Bible and find a favorite verse – look for the highlighting and underlining, the pages you dog-eared. Look at where that verse lies in the chapter it is from, and see if reading the entire chapter, or passage, doesn’t at the very least give you a different perspective on what the verse you like really says or means. Try it for three or four more verses. You may be more than a little surprised. Hence my consternation at stray lines from the Bible used to condemn or condone much of anything. Especially the past week or so. There are a lot of strange things being said these days in the name of Christianity. In reading and hearing all the vitriol spewed toward recent court rulings by prominent and not-so-prominent Christians, I am disquieted. As Christians, we are called to be compassionate – not called to be judgmental – that is not our job. I am trying to follow my own advice and simply point out a few things that disturb me about much of the Christian rhetoric surrounding the past week. While not biblical, the seven deadly sins are certainly part of the Christian canon, and there are numerous takes on them, with some differences to be sure, but also with some decidedly pointed overlaps. In Proverbs, King Solomon takes his crack at numbering and classifying sins; among the two that stand out as applicable to much of the faith-based discourse on SCOTUS and the law, Solomon’s admonitions against ‘a lying tongue’ and ‘Him that soweth discord among brethren.’ The latter is pretty obvious, as any quick perusal of a Facebook wall or various blogs will show. The former? All the nonsense about churches being forced to participate in things they don’t believe in. Again, G-d’s law, as opposed to American civil law. A number of outright lies are being told in the name of Christianity. The recent arguments from both public figures and private citizens calling themselves Christian seem rooted in one or more of the sins greed, wrath, and pride. Not Gay pride, but Biblical, sinful pride. Pride (hubris) as a sin is ‘believing that one is essentially better than others, failing to acknowledge the accomplishments of others, excessive admiration of personal self.’ Want to rant and rave about how you, as a Christian, are being persecuted by recent SCOTUS actions? Think about where your pride comes into play in your viewpoint more than a specific Bible verse does. Present yourself as being above others, proclaim as a public official that you will not follow the law of the land because it is ‘against your faith’ and we can talk about where your pride fits in. Much the same goes for greed; think about what is it that makes you want to deny to others (civil rights, health care) things that you may have without question. What is it that makes you want to tell others ‘no’ besides greed. Wrath? It is hard to not see anger and rage in much of the discourse about these (and most other social and political issues). Jesus does not call us to wrath. He calls us to compassion, with little equivocation room. To be abundantly clear, my faith drives my political beliefs – not vice versa, and while last week’s SCOTUS rulings may not affect me directly, they did have a powerful impact on many people I know and love. It was a good week, topped off by another extraordinary event: hearing our President sing my favorite hymn at a funeral service. It was a quite a topper to a five-day stretch. Oh, and sorry to disappoint my more conservative Christian friends here; while Mr. Obama is our president, his singing from a pulpit was not a matter of an endorsement of faith over and above anything or anyone else, he was simply exercising his faith, just in a very public setting. His personal prerogative, not a point of law. It’s Christmas Eve, and I am preplexed. We arrived yesterday in our ancestral home state of Minnesota after a twenty-four hour drive from our current home in New Orleans to see our new grandson; an appropriate meatphor for the season. “’Instead?’ ‘Nearly 1-in10 churches will be closed because Christmas is on a Sunday?’ Must be some rationale for all of this” thought I. “In Murfreesboro, Tenn., the Rev. Brady Cooper of New Vision Baptist Church notes that it takes 150 volunteers to staff a single service at the megachurch, so he is opting to run five services on Christmas Eve instead, The Tennessean reports. Note to Rev. Cooper and other church ‘leaders’: if you don’t like working on holidays, maybe you shouldn’t choose ministry as a career. My first thought is, this all strikes me as terribly wrong and short sighted on so many levels. Stories abound this time of year about how stressful the holidays can be for people, especially those who are at odds with family, who feel disconnected, or who have suffered a loss and cannot find joy in the season – the list goes on. Many of these people count on their ‘church family’ during this time of year more than any other – I have seen it in every church I have been a part of, in every place I have lived. 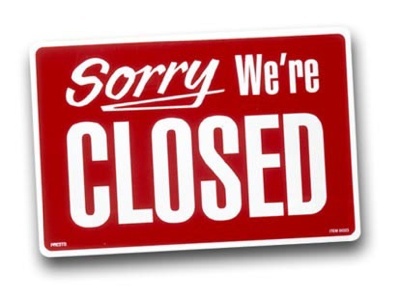 “Sorry, we’re closed today. Come back next week” doesn’t cut it. Secondly, I thought back to all of the emails and Facebook posts I have received from well-meaning fellow Christians over the past few weeks bemoaning a supposed ‘secular attack’ on Christmas. I don’t buy into the ‘attack’ theory; I think it’s more a knee-jerk reaction to specific incidents and speaks more to people’s lack of confidence in their own faith more than it does to people outside the faith attacking it. Plus its just fun for some folks to want to rile up others in the name of their faith. Thats an entirely different post. I think as Christians, we need to look at ourselves long and hard before we started blame the ‘secular world’ for our shortcomings as a church. This story only served to confirm both of those beliefs. As a high school English teacher, I am quite familiar with issuing homework, the concepts behind it, and the mixed end-results thereof. Hey, pastor – will there be a quiz when everyone gets back to class? Then again, maybe I am looking at this all wrong. This churches-not-being-open-on-Christmas concept might just be the ultimate in teaching from the pulpit. 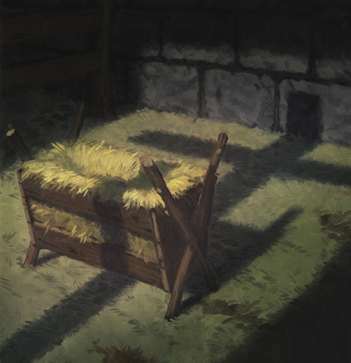 Just as Mary and Joseph maybe a lot of disenfranchised Christians who are unable to find their own ‘room at the inn’ on Christmas will keep looking, maybe finding a humble stable of their own somewhere else, where they can find some real joy and peace in the real meaning of Christmas.